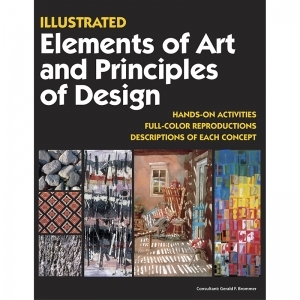 This new series of Instructional cards with many art examples and diagrams illustrate each concept. 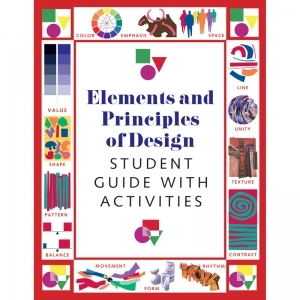 They can be displayed in the classroom or art room and will help students learn the Elements of Art and Principles of Design. 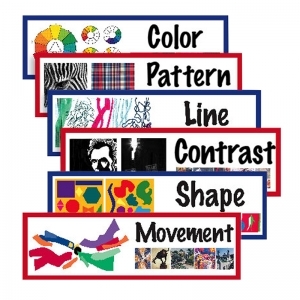 The set of fourteen cards reinforces these basic concepts to provide instant student reference and includes Line, Shape, Color, Value, Form, Texture, Space, Balance, Contract, Emphasis, Movement, Pattern, Rhythm, and Unity. 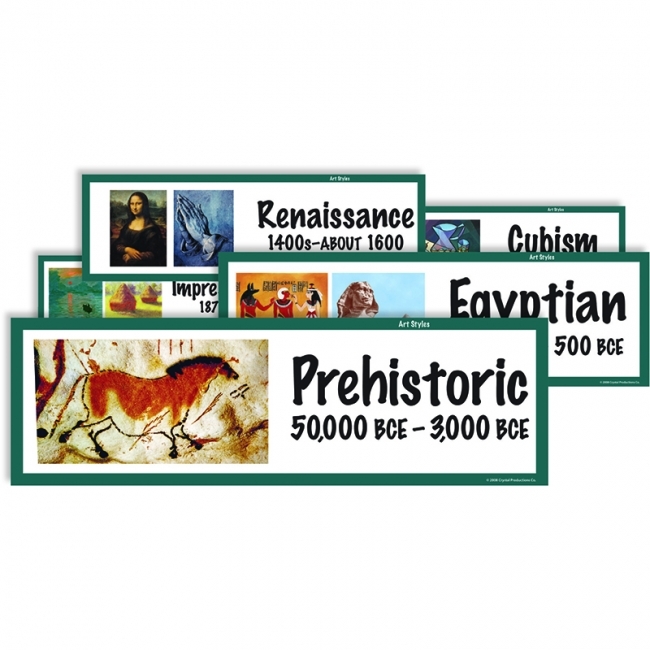 Special Feature: The 18" x 6" cards are scored so that they can be folded and used as Flash Cards for quizzes and testing. 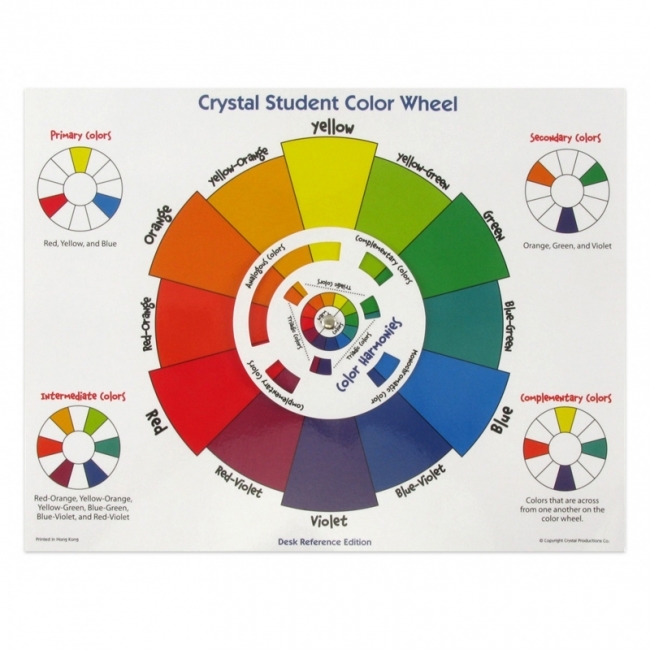 They are printed in full color on durable card stock. Set of 14 cards. Bring creativity into the classroom using Everyday Art for the Classroom Teacher for grades 4 and up! This 144-page resource book features short arts and crafts activities designed for a busy classroom. 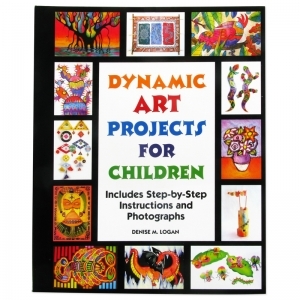 The book includes more than 110 seasonal projects and activities, and most of the projects require only standard school supplies. Handmade art projects include these creative activities: class election tags, a color wheel, a dreidel, holiday tetrahedrons, and stained glass butterflies. 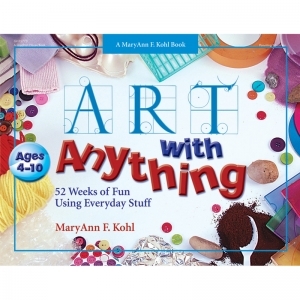 This book is a perfect addition to any hands-on class. Includes 144 pages. For grades 4-8, ages 9-14. Brand : CRYSTAL PRODUCTIONS CO. 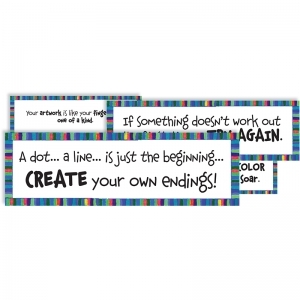 This set of 16 cards features encouraging, inspiring, and supportive words for artists of any age. Some of the words of advice are: "Tell your story in pictures and everyone will understand," "Let your artwork be your journal," and "The best art is never finished." 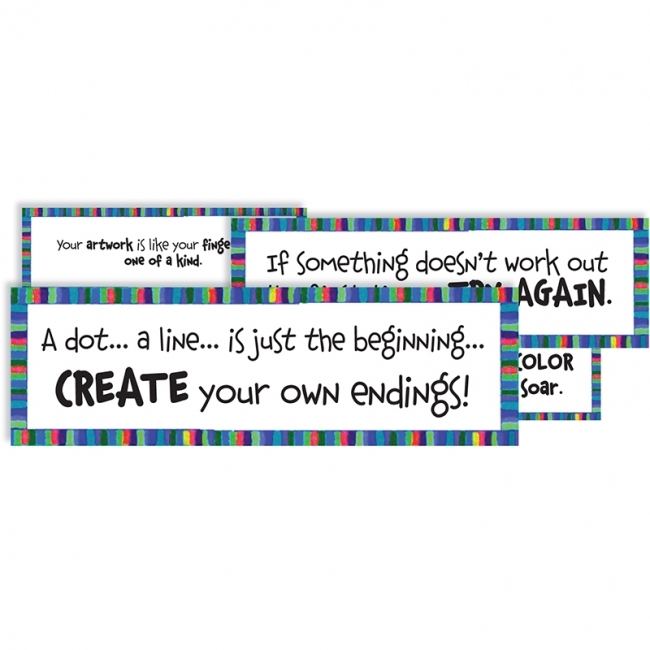 The cards are printed on durable cardstock so they will continue to inspire for years. 16 art display cards, 18 x 6 inches. 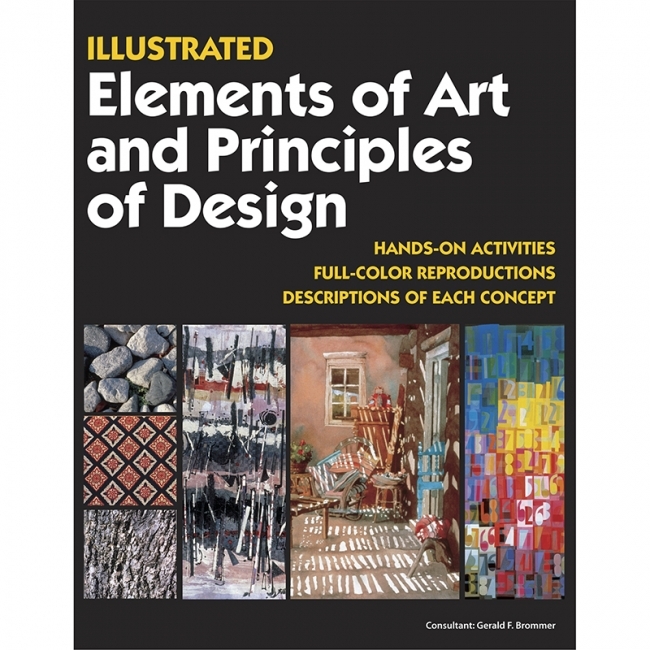 Over 200 color illustrations show easy step-by-step instructions for drawing and painting with paper, ceramics, printmaking, and sculpture. 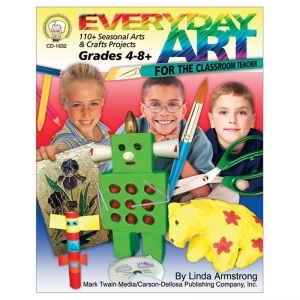 These art projects were created for elementary students to engage them in the creative process, build confidence and self-esteem, and facilitate their creation of artwork. 112 pages, spiral bound. 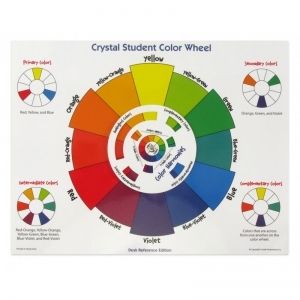 This color wheel provides a unique reference to color concepts and color schemes. 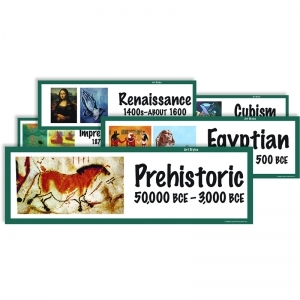 Specially designed for classroom display. 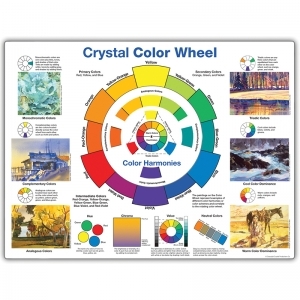 It is 24" x 18" printed on durable card stock and laminated. Corner holes provide an easy means for display. 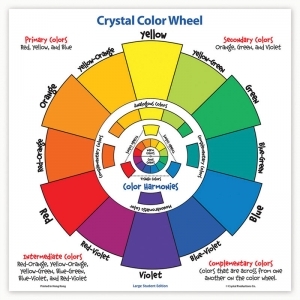 Inner wheel rotates to show analogous, complementary, and triadic schemes plus warm and cool colors. Fine art reproductions show how master artists used color schemes in their work. 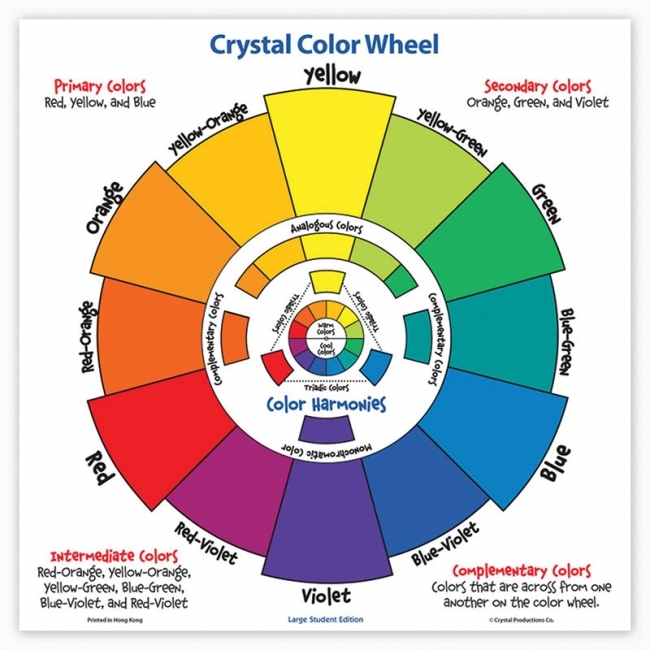 Color concepts including hue, chroma, value, tints, tones, and shades are explained with special diagrams. Colorful, graphic posters take the mystery out of the elements of art and principles of design. Informative text and vivid illustrations help your students develop their knowledge. Elements of Art posters cover Line, Shape, Form, Color, Space, Texture and Value. 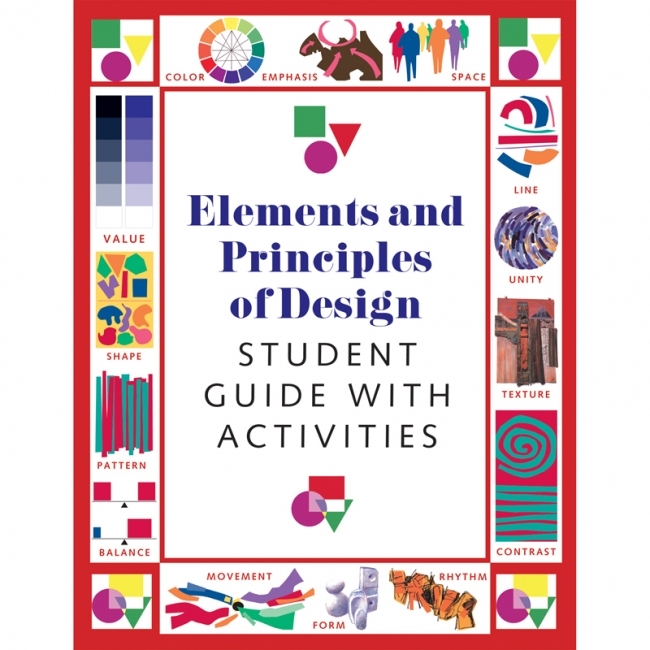 Principles of Design posters cover Balance, Contrast, Emphasis, Pattern, and Unity. Printed on cardstock and laminated. 14 posters, 17 x 22 inches each. 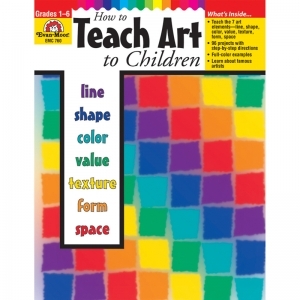 This comprehensive full-color teacher resource book makes teaching art to young students a joy, not a hassle. 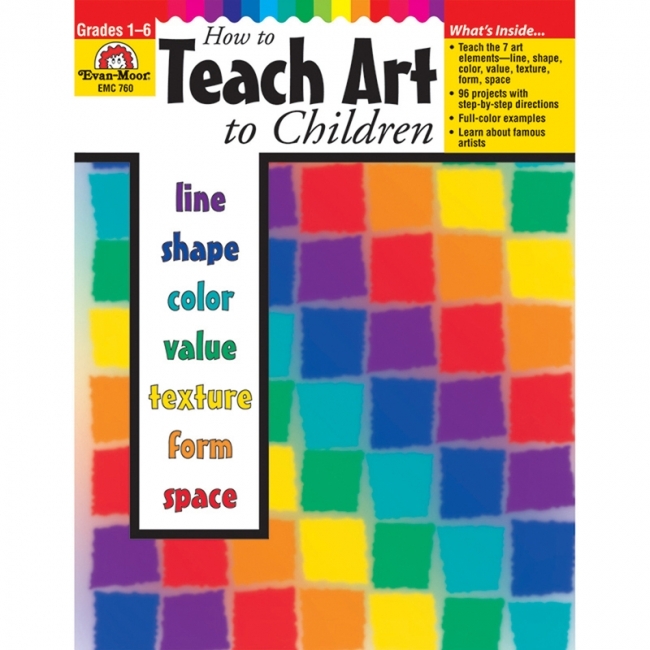 Easy-to-teach, easy-to-follow lessons cover the seven elements of art: line, shape, color, value, texture, form, and space. Discover the natural curiosity and enthusiasm of toddlers and twos as they explore creative art experiences designed just for them. In this updated, color edition of First Art for Toddlers and Twos, you will find more than seventy-five art experiences, with lots of variations that add to the fun and tips for making the activities run smoothly. There's even a chapter of special adult-made props, such as an Art Baggie Book to display a child's artwork and a Tabletop Easel made from a pizza box to catch all the drips. 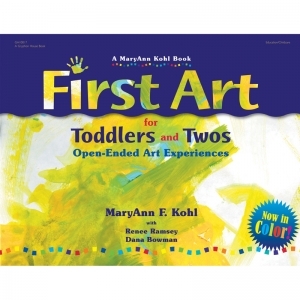 First Art for Toddlers and Twos starts children on a journey full of exploration and creativity! Children will love making "Glitter Photo Jars" or working on "Shake-It-Up-Bag Paintings," and projects like "Family Finger Puppets" and "Fluff-N-Puff Mobiles" will keep them entertained for hours and stretch their imaginations. 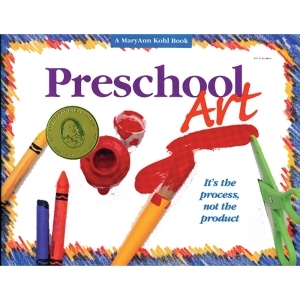 It's the Process, Not the Product-Anyone working with preschoolers and early primary age children will want this book. 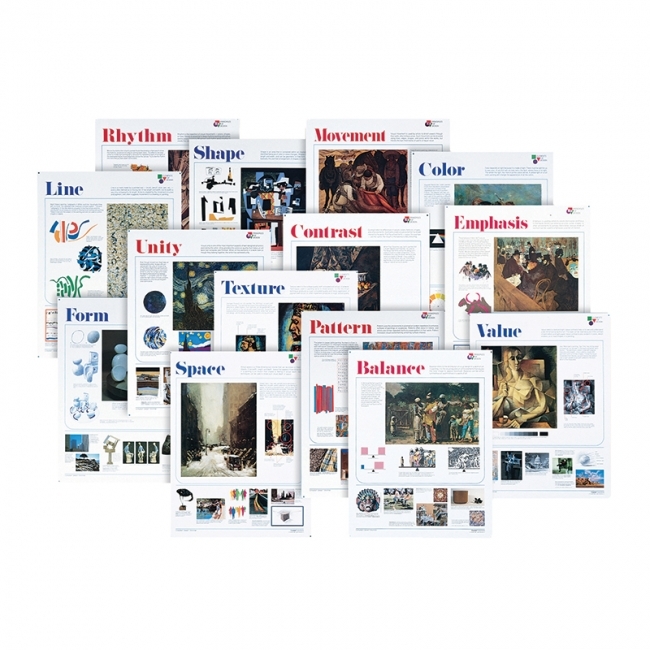 Over 200 activities teach children to explore and understand their world through open-ended art experiences that emphasize the process of art, not the product. 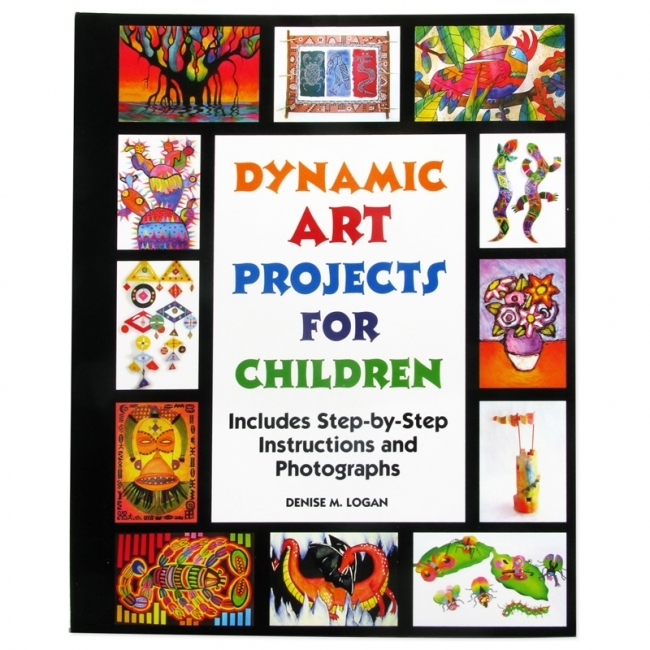 Activities are included for painting, drawing, collage, sculpture and construction.